The Asterix&Friends summer event will begin on Monday, at 12:30 pm to be exact! Earlier, starting at 10:30 am, the Asterix&Friends team will have to tweak the servers a bit (meaning the game will be offline for a short while) to prepare the great event. Summer break? No way! New quests, new achievements, gift codes, and awesome competitions are waiting for you! - Rebuilding the village is free now. - If you’re lucky, you can find jackets, pants, belts, and shoes while fishing. - If you go wood chopping during the game, you’ll find blueberries that will expire at the end of the event. For collecting these berries you can gain a new quest with three new achievements and huge piles of Roman helmets as a reward. You’ll find a berry counter in the upper right corner of the screen. The event will end on August 31st. Apart from the event there will be an Update with a couple of permanent changes and improvements. 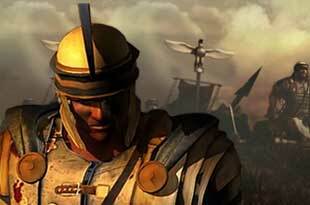 - Safe trade feature: trading no longer costs Roman helmets but 10 sesterces per offer. - Tournament rewards will be increased. The new rewards will already be active for the current tournament. - Crafted objects can no longer be duplicated in the boxing ring. - New quests have been activated. 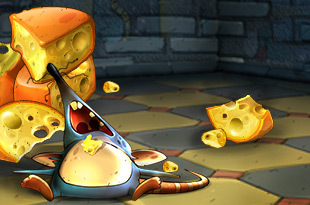 - The repeatable quest series "The Great Feast" has been reactivated. In this quest you can get Asterix ready to fight. - A new weapon for village brawls has been added: the paddle. - The potions "Medium potion of the first hit", "Medium potion of blocking", and "Medium potion of critical hit" are working again.